Apple has launched a new advertising campaign about the many uses of the iPad, attempting to push the mentality that ‘everything changes with iPad’. 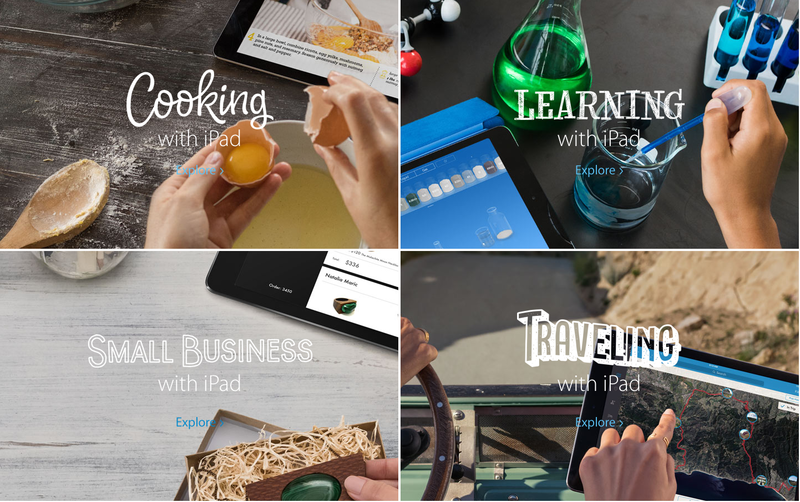 The 90 second film displayed on Apple’s campaign website shows what you can do with an iPad – you can cook with iPad, learn with iPad, do small businesses with iPad and a heap more. 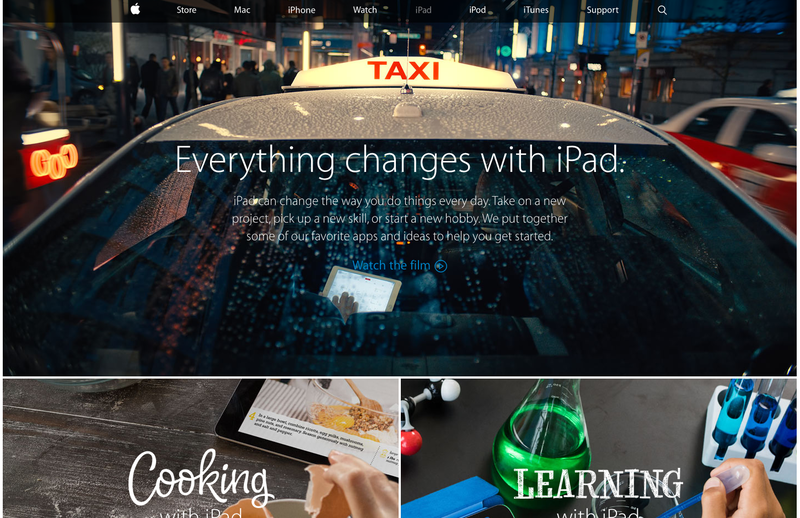 The iPad site then displays a number of niche ways the tablet can be used for visitors to explore more in depth. Tech publisher CNet reports the iPad push is to secure some more sales of the dwindling tablets. The iPad sales weren’t the happiest moment for Apple during its last quarterly earnings report at the end of April. Business Insider reported at the time those buying the tablets were down by 23 per cent year on year, with sales in steady decline over the past few years. CNet said there are several reasons the iPad sales are dropping. Families are sharing them and holding on to them for longer so there’s not a need to buy new ones. Similarly Apple faces competition from Android tablets hitting the market.